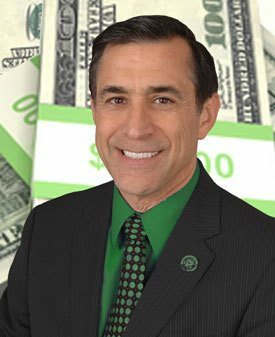 On Fox News Sunday, Rep. Darrell Issa, R-Calif., chair of the House Investigations Committee pushing for more information from the Obama administration about the $535 million loan guarantee to benefit Solyndra, was asked about a company in his district applying for a loan for which he advocated. I write to express my support of Aptera Motors’ application for a loan under the Department of Energy’s 136 Advanced Technology Vehicles Manufacturing Incentive Program (ATVMIP). Funding will allow Aptera to establish U.S. manufacturing facilities for the commercial production of its plug-in and hybrid electric cars. Aptera Motors plans to purchase and equip manufacturing facilities to begin commercial scale production of its energy efficient electric vehicles. Awarding this opportunity to Aptera Motors will greatly assist a leading developer of electric vehicles in my district. Electric vehicle initiatives like Aptera’s will aid U.S long-term energy goals by shifting away from fossil fuels and using viable renewable energy sources like plug-in electric energy. Additionally, Aptera’s vehicles will reduce dependence on foreign oil and enhance energy security. Aptera’s project will also promote domestic job creation throughout California as well as in other states. Unlike many other electric vehicles, Aptera’s energy efficient electric vehicles have a range of over 100 miles per charge and the possibility to become one of the most energy efficient vehicles in the world. A loan to Aptera will help accelerate the move from gasoline-powered vehicles to cleaner electric vehicles. I urge you to give Aptera Motors’ Advanced Technology Vehicles Manufacturing Incentive Program funding application full consideration. If I can be of further assistance, please do not hesitate to contact me or my Press Assistant, XXXXX. WALLACE: Congressman Issa, we’re going to have to leave there. We want to thank you so much for coming in today and we will stay on top of both stories, sir. Yes, we’d like to thank you for blithely lying to the American public. Sir. The important things is: when you want to deflect the message, attack the messenger. That’s why politicians are held in such high esteem. On the other hand, maybe we could just read the Constitution and The Federalist (41) and notice there’s no authority by which government can offer loans, monies, guarantees or anything else including welfare or medical payments. Don’t like that? Fine, so have the courage and get the votes to change the Constitution; make it a progressive document, which it certainly is not. Legalize progressive taxation and wealth transfer, which is theft with a happy face. Put it in writing, ’cause right now the writing ain’t there. Older Article: Sewage spill during the black-out? What sewage spill?